Contrast is one of the prerequisites for getting meaningful data out of an image. How this contrast is achieved is largely determined by how the scene is lit – that is, the direction of the light, its properties, and the wavelength used. Working outside the visible spectrum can produce some much-needed contrast in images, depending on what the user is looking for. The classic example is thermography, where it is possible to pick out hot objects, like humans, emitting infrared radiation against a cold background. Because thermal imaging is not reliant on the visible spectrum, humans or other hot bodies can be identified regardless of weather or day/night conditions. 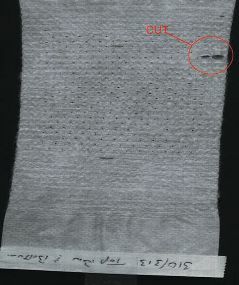 At the other end of the spectrum, ultraviolet imaging applications include detecting oil stains on paper or cotton, which fluoresce under UV radiation. Hamamatsu Photonics, a provider of photonics and imaging equipment, has installed an inline UV inspection system in one of its customer’s web coating manufacturing facilities. This inspection system is used to detect small foreign objects, which can be attracted to the webbing as it becomes electrostatically charged passing through the high-speed production line. ‘These coatings can be highly transparent, meaning that they are difficult to image against the underlying web using visible light,’ says James Owens, of Hamamatsu Photonics. ‘Often the images are low-contrast, making it difficult to pick out any objects of interest.’ The production line runs at high speed and makes a variety of coated web materials, each with different transmission and reflectance properties. Owens says that, using visible light, foreign objects would appear with such low contrast that accurate detection by software algorithms would be impossible. In addition, he says some web coatings could have transmission/reflection characteristics that would make it impossible to work in the visible illumination range. ‘UV’s ability to be absorbed, reflected and scattered by a variety of materials was an important feature of the detection process,’ he says. Foreign objects can be identified in a high-contrast image, and the contaminants taken from the finished product. Hamamatsu’s C10000 TDI camera was used, which has a back-thinned CCD offering 70 per cent quantum efficiency in the UV, allowing the customer to capture images of fast moving subjects. The CCD sensor has a response from 200-1,100nm, meaning that near infrared detection could also be considered using the same camera. An auto iris mechanism was created to maintain a constant exposure as production line speeds changed or the web coating was altered. There are some disadvantages to the UV setup, as Owens notes, but these are manageable to a large extent and also unavoidable in this instance, as an inspection system couldn’t easily be engineered with visible imaging equipment. The quartz lenses required for UV imaging, for example, which were manufactured in house by the customer, contain six elements and are expensive compared to a similar lens for the visible range. The high-power UV lamps are potentially dangerous, as direct exposure to UV at close range can cause severe eye damage. There is also the possibility of ozone generation; this was limited by the use of anti-ozone coatings and gas analysers were installed to ensure safe levels were not exceeded. As the output of the lamps was not in the visible range, correct alignment between the UV source, the web coating and the cameras could only be confirmed by observing the camera output. The C10000 has a linear array CCD that can be switched from TDI output to 2D output – allowing the customer to focus all the cameras accurately before turning on the production line. UV sensors were used to monitor the lamp performance over time and adjust the output. Other applications using UV include those in the dental industry for inspection of false teeth, where UV scanners are used to check the number of teeth and read the serial number on the carrier. UV scanners from Tichawa Vision, a German manufacturer of line scan machine vision sensors, have been employed for this purpose. Artificial teeth are custom-made for specific individuals and the sensors are used to countercheck their delivery to the dentist’s surgery. ‘The serial number is metal and highly reflective, while the teeth themselves reflect much less light,’ explains Dr Nikolaus Tichawa, owner of Tichawa Vision. ‘Using UV causes the plastic teeth to fluoresce and therefore both features can be processed from one image.’ The alternative would be to capture and process two separate images in the visible with different illumination. Tichawa’s UV scanners have also been used to inspect high-quality iron or steel components, such as pipeline components for oil pipelines, for the presence of micro-cracks. In a technique called magnetic particle and fluorescent penetrant inspection, the pipe surface is covered with a liquid containing iron particles, which, under a strong magnetic field, concentrates in any micro-cracks in the pipe. The liquid fluoresces under UV at around 560nm, and therefore UV imaging can be used to identify any cracks present. ‘Our sensor lends itself well to this technology as it can be used to scan the inner surface of pipelines for micro-cracks,’ comments Dr Tichawa. Moving away from UV into the infrared, Tichawa’s IR scanners are used for solar cell inspection, as well as in the consumer goods market – for instance, in the inspection of disposable nappies for cuts in the material along with any IR-printed batch numbers. Inspection of bank notes is another common application. The use of hyperspectral imaging, which was originally developed by the military to provide early warning systems against chemical warfare, has seen an increase in a number of application areas, most notably for conducting environmental monitoring. This is according to Philippe Lagueux, business development manager at Canadian company, Telops, which manufactures infrared (IR) hyperspectral cameras. Hyperspectral data can be used to provide colour-coded images of certain gases present in a scene (SF6 and NH3 in this instance). Image courtesy of Telops. The output image data from a hyperspectral camera is termed a data cube and, with Telops’ cameras, is a measurement of the amount of IR radiation from a scene. Unlike traditional infrared sensors, hyperspectral cameras capture a set of images, each covering a spectral band, which make up the data cube. Each image will change from one wavelength band to the next. The technology can be used to identify certain gases and compounds through their IR signatures. The spectral data captured by the camera is correlated with known IR signatures to identify the gases or molecules – sarin gas, for instance, can be detected at a distance of up to 5km. ‘There is a trend for using the technology in environmental monitoring,’ states Lagueux – ‘analysing the gases emitted from oil refineries, for example.’ The cameras can be used to carry out environmental chemistry on sulphur dioxide emissions, for instance, to determine whether the levels produced are within regulation. Telops develops hyperspectral cameras within two spectral ranges: thermal IR (8-12μm), which detects certain gases and molecules, and mid-wave IR (1-5μm), which is mainly used to characterise gases in very hot scenes, such as the combustion products from jet engines. ‘Engineers will carry out a lot of chemistry analysis on the plume from such engines,’ Lagueux says. Currently, as gases are identified within the scene, they are colour-coded, with the level of colour intensity corresponding to the concentrations of gas. Also, by studying images captured over time, the direction in which the gas is travelling can be determined. Scientists at oil refineries will not only use the camera to monitor the emissions from chimneys, but also to look for leaks in pipelines. ‘Checking for leaking pipe work requires high-resolution hyperspectral data to be able to tell where the leak is,’ Lagueux says. The cameras are also used for numerous other applications: geologists, for example, are using the technology for surveying from the air, analysing the constitution of minerals present in the ground through their IR signatures. Fire fighters will also use hyperspectral imagery to study the smoke plumes from a fire and determine what substances are burning. This data can provide a more complete picture of the scene and allow fire fighters to analyse the risk of explosions before entering a burning building. To capture images of a bullet leaving a gun requires cameras with very fast frame rates. In circumstances where imaging in the visible spectrum is not possible, X-rays are used, which provides fast images (obtained in 20 to 50 nanoseconds) through smoke, fire and metal. Specialised Imaging, a UK company supplying ultra high-speed imaging systems and components, is distributing L3 Applied Technologies Pulse Sciences’ (San Leandro, CA, US) line of Flash X-ray systems throughout Europe. Ballistics proving and research is the main use for this type of X-ray system. Researchers will use X-rays to study projectiles while they are inside the barrel of a gun, during the exit phase when they are obscured by the fire ball, and during penetration of armour, clay and concrete, during each of which, visible imaging is not a viable option. 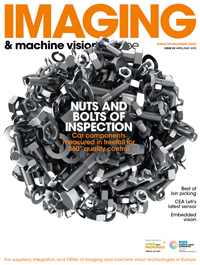 ‘They [ballistics researchers] basically use the X-ray source as if it was a flash lamp,’ comments Wai Chan, managing director at Specialised Imaging. The X-rays are present for less than 10μs and produce a shadowgraph image on the screen. Currently, it is still very common for researchers to use X-ray film, because it is relatively cheap, high resolution, high sensitivity and expendable. However, for multiple acquisitions per second, then an ultra high speed framing camera like Specialised Imaging’s SIM series are used. ‘Most of the synchronised X-ray Flash systems will give between six and eight images,’ Chan says, ‘but because of the very short interval between each image the X-ray screen must have very short lag [time], thus making it very insensitive.’ This is why a very sensitive camera, like the SIM, is used.